In 2009, to much public backlash as well as backlash from the Scottish Government, First Minister of Scotland Alex Salmond and local MP and MSP Cathy Jamieson and Willie Coffey, the owner of Johnnie Walker, Diageo, decided to close the bottling plant, originally by the end of 2011, ending the link between the whisky brand and the town. In September 2009, Diageo confirmed the plant in Kilmarnock would close, despite local protests. 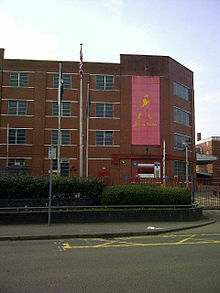 Production of Johnnie Walker in Kilmarnock ceased during March 2012, after 192 years. It is now made at a new Diageo bottling plant in the eastern coast of Scotland in Leven, Fife. Over the years, Kilmarnock has been the home to other well-known companies, Andrew Barclay Sons & Co., and Saxone Shoes. Saxone Shoes was bought by the British Sears group and became defunct when Sears sold it to Stylo. Andrew Barclay Son's & Co still manufactures in the town but is now owned by Wabtec (Wabtec Rail Scotland).